At the end of Indiana Jones and the Last Crusade, Jones and his rival Walter Donovan1 make it past three riddle-based traps…. Where was I? Oh yes. They find themselves in a room filled with dozens of cups and chalices, and a very old knight who is acting as a last-ditch guard on the hidden Grail. The final challenge? Choose the True Grail from among the false ones. Donovan, who got their first, has his assistant Dr. Elsa Schneider make the choice. She picks out an ornate golden one which she assures him is “first century Aramaic”. Donovan takes it, fills it from the font that is conveniently there, takes a drink, and turns to dust. Indiana arrives in time to see all this, and gets to go next. In a hurry to use the healing powers of the Grail to save his dying father, he looks for a “carpenter’s cup”2, and picks a simple wooden cup. It turns out to be the True Grail. “You have chosen wisely”, says the knight. Indiana rushes out with the Grail, heals his father, but no one gets to keep the Grail as the temple collapses around them when Schneider tries to escape with it. She and the Grail wind up being buried in the ruins. Here’s my problem with this whole scene. The other thing is that putting just one plain cup amongst a few dozen elaborate golden chalices isn’t that great a way of hiding it. It would stick out like a sore thumb. Pretty much anyone who made it that far should have little trouble picking it out. “Hey, this one isn’t like any of the others. I’ll bet it’s the True Grail!” And if you put a couple of plain cups in the mix, you still have the problem of being able to decide just which one of them was the real deal. We know from the Grail legends that it did indeed have a lot of healing powers. Cures the sick, makes crops grow, and all that good stuff. The thing was, you had to acquire it honestly. If you stole it or cheated your way to becoming its owner, it would have the opposite effect. Your crops would fail, you’d suffer from an unspecified illness, nothing would go your way. The key factor is in how you came to possess the Grail. Donovan wanted the Grail for his own vanity. He wanted its powers for himself – and he didn’t even have the balls to make the choice himself. Indiana, however, wanted the Grail to save his father. Not for his own personal glory. That’s why it worked for him. I feel that “choosing wisely” here had nothing whatsoever to do with the cup you picked4. The whole display was just to dazzle the greedy. The choice was rather your reasons for wanting the Grail. 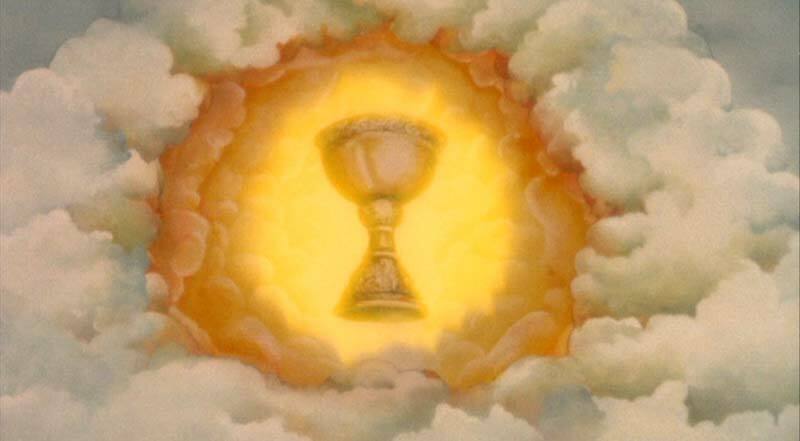 Choose to get the Grail for a good reason, and its powers would ensure you got it. 3. Actually, the cup probably didn’t belong to Jesus in the first place. The Last Supper was something of a clandestine meeting in a secret location. 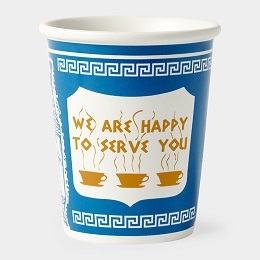 The homeowner would have probably provided dishes as well as food and drink, so there’s no telling what the cup would have looked like or been made of. This entry was posted in Uncategorized and tagged holy grail, Indiana Jones. Bookmark the permalink.